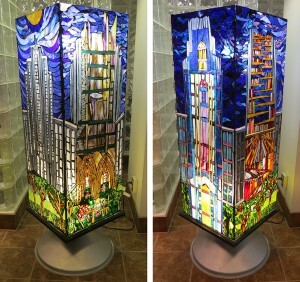 A spectacular glass mosaic, featuring the Cathedral of Learning, now graces Falk Library’s entry way. This one of a kind piece was created by notable local artist Daviea Davis as part of her Pillars of Light Project. Do you need to scan a document or journal? Are you frustrated with slow equipment and cumbersome software? 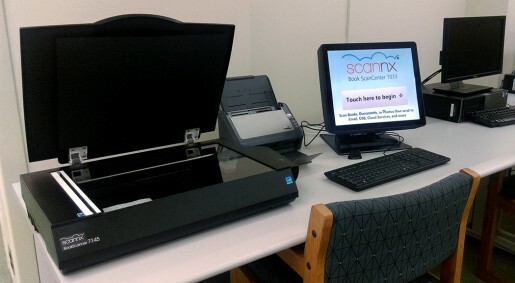 HSLS is pleased to introduce the solution to your scanning woes: the Scannx Book ScanCenter. HSLS librarians were active participants in the Medical Library Association’s Annual Meeting held in Austin, Texas, from May 15-20, 2015. Lydia Collins, consumer health coordinator, NN/LM Middle Atlantic Region, presented “I Read, I Heard, I Want to Know: Health Issues in the Headlines” at the Delaware/Maryland Library Association Annual Conference in Ocean City, MD on May 7, 2015.